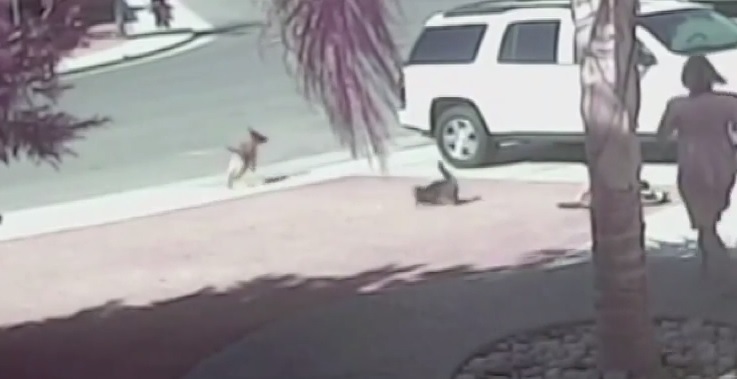 Cat Saves 4 Year Old Boy From Dog Attack! VIDEO! This story is amazing and I know it’s kind of silly for me to write about it now because well everyone and their mother already has but I’m going to go ahead and do it anyway. Mainly because I have a four year old son myself and a rather large cat who uncannily resembles the cat in this video. So I’m just even more blown away by it. Video footage of a dog viciously attacking a young boy has surfaced and has been circling the internet today. In the video below you will see the four year old playing with his bicicle when the dog comes from behind a vehicle and grabs the boy’s leg. He thrashes back and forth tearing large gashes into the boy’s lower leg. At that moment the family cat came charging to the rescue and tackled the dog! Then chased the dog away from the boy. The family says that the cat loved his little boy owner so much, even as an infant he would sleep with him in his crib. (Which again sounds just like my furball) Who says dogs are more loyal than cats?